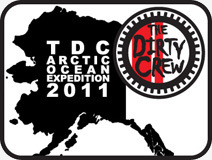 The Dirty Crew: "The check is in the mail"
Let's put that beast together and RIDE!! Hellz ya! This evening I'm going to start ordering engine guards and such. Might as well get them on right out of the gate...or crate. The "need" list is pipe guard+skid plate and radiator guards. Oh my Yes! You're getting more alive and breaking free from The 4t Man by going independent on a 2-cycle cycle. That's why we hang-out! I'll be right over!! !